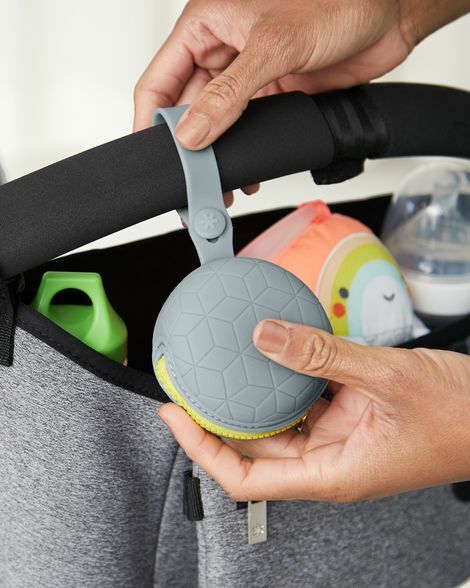 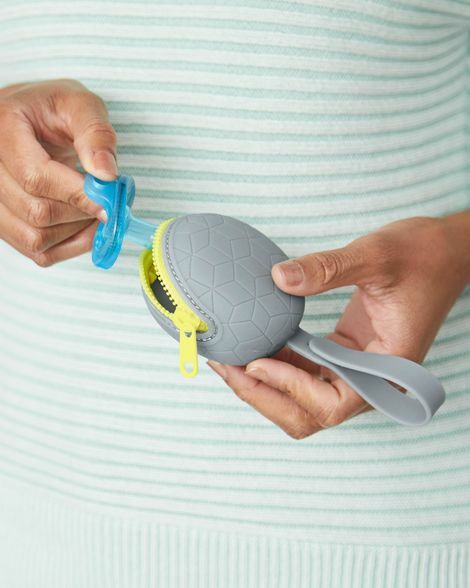 With a secure zip closure and a modern compact shape Skip Hop’s silicone pacifier holder keeps dummies clean and ready to go. 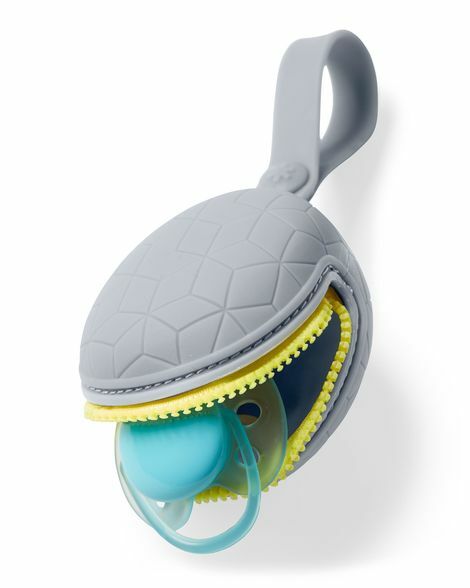 Designed to fit up to two pacifiers, the soft silicone material is dishwasher safe so it’s easy to clean. 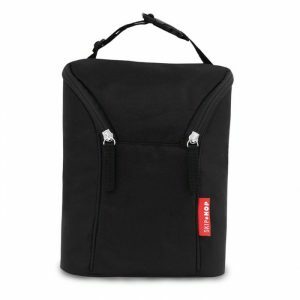 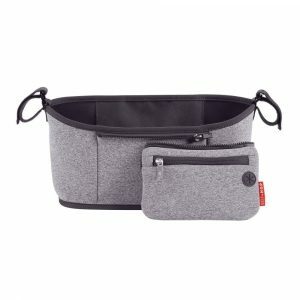 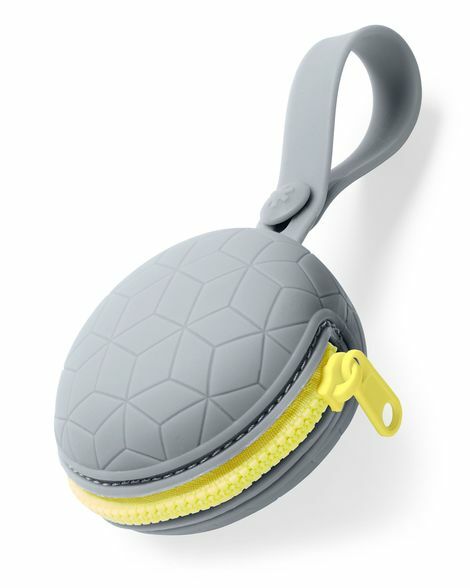 A handy strap attaches to your stroller or diaper bag so baby’s pacifier is always within easy reach.